Zaman GJ, et al. (1993). Nucleic Acids Res. 21(7):1673.Ofir-Rosenfeld Y, Boggs K, et al. (2008). Mol Cell. 32(2):180-9. Western blot analysis in 293 cell line lysates (35 ug/lane) using RPL26 Antibody (C-term) Cat.-No. AP53713PU-N. 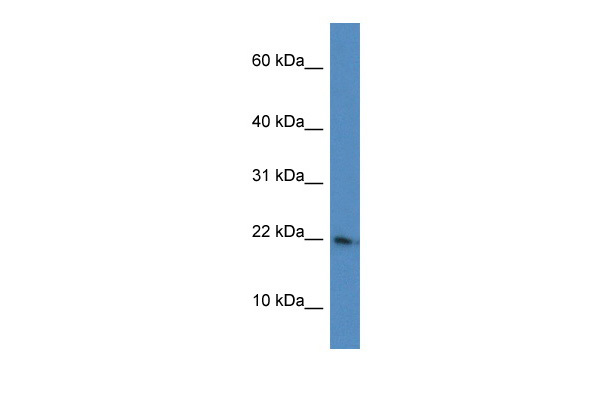 This demonstrates the RPL26 antibody detected the RPL26 protein (arrow).